Looking for value in the shadows of the market. I am Stockcoach, and this is my story. It's been over two years since I started writing this blog. My goal for this blog was to share with you my experiences as an investor. I hope I've succeeded. I know I've learned a lot in the past two years, and much of it I learned from you. But like many good things in life, this blog has come to an end. Recently, I was offered a position at one of the world's biggest financial companies. I accepted the offer, and after a few months of well deserved vacation, I will start my new job. However, given the nature of the position, I feel it would not be proper for me to maintain a public blog, even an anonymous blog like this one. Thus, with much sadness, I am signing off today. I may drop by on occasion to say hello, but I will no longer be posting my portfolio or discussing specific stocks. For those of you who are regular readers, I would like to sincerely thank you for stopping by and taking the time to share your thoughts with me. Goodbye and God bless. What JOB giveth, KTCC taketh away. Yesterday was going well until I bought KTCC right before the close. Within a couple of minutes, the stock tanked big time. Oh well. Despite KTCC, I'm still up 1.4 percent for the week so far. 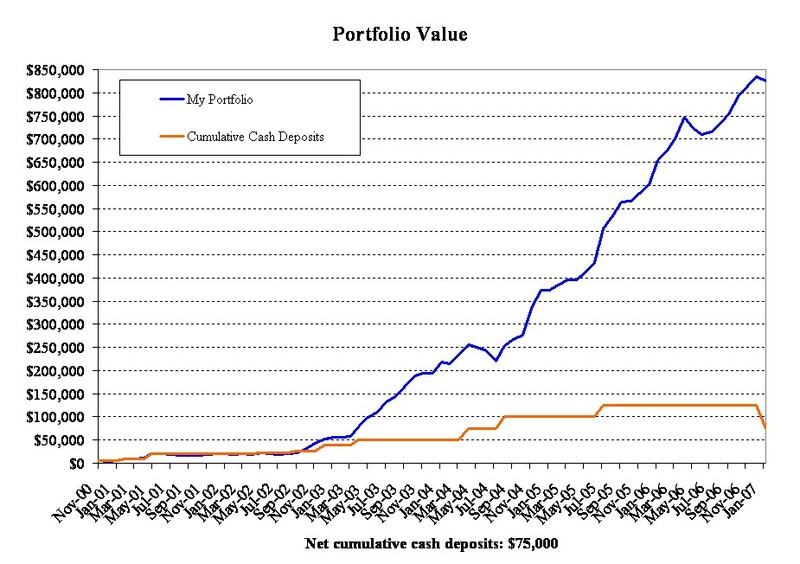 For the month of January, the portfolio gained $41,578 (5.3 percent), my best month since last April. Up 0.2 percent today mainly on account of a low volume move in TRNT. The Jobster (JOB) reported a strong quarter tonight. JOB is my biggest position (4.5 percent of my portfolio), so hopefully the stock will rock n'roll tomorrow. Although OCCF did not do nearly as well as I had hoped today, I managed to stay well in the plus column for the day and for the week. For the week, the portfolio ended up gaining $11,429 (1.4 percent), the fifth consecutive week of positive gains. I'd like to thank Jonathon at Valuewiki for his nice comment about my blog. Down 0.4 percent today. Optical Cable reported a very strong quarter this evening. 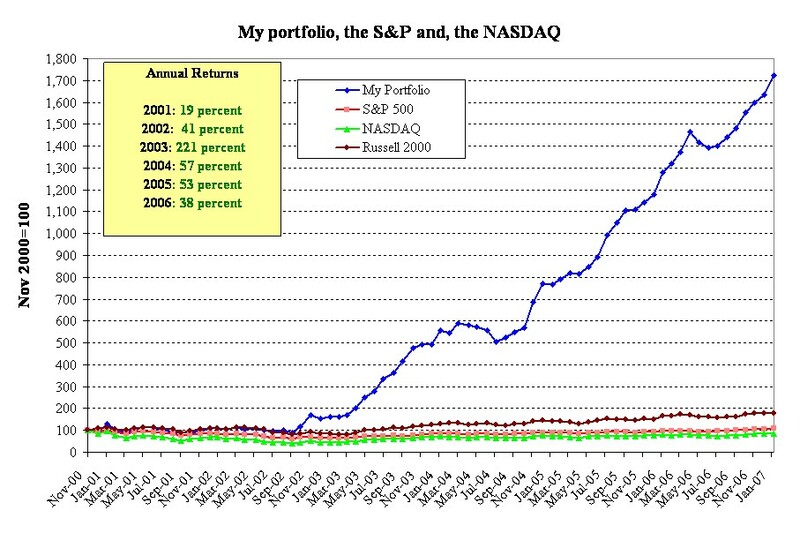 OCCF is a medium sized position for me (a bit less than 2 percent of the portfolio). It's good to see that their business is starting to turn around. Hopefully they will be able to maintain the momentum. I have not been hestitant to express my displeasure with OCCF's management in the past, so hopefully they won't screw up again. If the stock can maintain its 30 percent afterhours gain (on just a handful of shares), that should be good for about a 0.5 percent gain in the portfolio tomorrow. It was a nice day for the markets, especially the Naz. My portfolio managed to gain 0.6 percent thanks to decent moves in OCCF, AIH, and a few other stocks. On days like today I have no illusions that I can outperform the market. That's okay. My outperformance typically comes on down days, not up days. RACK continues to taunt me. I thought after yesterday's nice recovery there would be more follow through. The stock did manage to surge this morning and then just rolled over. Oh well. Down 0.1 percent yesterday but up 0.4 percent today. After today's close, Ablest (AIH), a stock that I own, received a going private proposal for $7.50 per share. Considering that the stock is currently trading at book value and the company is profitable and has a steady history of revenue growth, I think the offer is grossly inadequate. Given the amount of the liquidity that private equity firms now have, Ablest's board, in my opinion, could get over $9 per share by shopping the company around to potential buyers. Failure to consider third parties for a potential sale would suggest that management's interests and those of shareholders are not well aligned and that minority shareholders should vote against the offer that is currently on the table. Hopefully the board will come through and either insist on a higher price from managment or invite other external parties to bid for the company. Stupid RACK prevented me from having a 5 digit gain this week, but considering that both the NASDAQ and the Russell 2000 were down for the week, a gain of $9,225 (1.2 percent) is still one I am very happy with. With this week's gain, my portfolio is back above $800K. Let's hope it stays there. In retrospect, I think the only reason I bought RACK was because I am having so much difficulty in finding new stocks to invest in that meet my value criteria. Ironically, RACK doesn't even come close, but I am currently sitting on about $180K in cash, so it's tempting to grasp at straws in order to find reasons to buy something... anything. If you think there are some good value stocks out there that I have overlooked, please let me know. Looks like I may have selected the wrong answer in my little reader poll off to the left as RACK continues to vex me greatly. Anyhow, I am not sure what to make of the recent market action. I am not too inclinded to read much into it. Most likely this is not the beginning of a major correction. However, I'm not inclined to take any chances. With that in mind, I pruned two of my less favorite stocks: FNLY and PEAK. The portfolio didn't get too badly hurt today, down 0.2 percent. MACE helped a bit. I wish they would just take the $3 buyout offer that they were given. I think MACE, along with OCCF, has two of the worst managements of all the companies I currently own. I'd be happy to part with both if the price were right. Up 0.3 percent today. I don't know what I was thinking. I bought 500 shares of RACK this morning. I'm not even sure why. It's not the sort of company that I would normally purchase. The stock gaped down 35 percent and I just figured it would bounce. It didn't, and I am now $700 down on this position. I guess I will hold until the company releases earnings in a couple of weeks. I need to avoid being impulsive with my trades, it has gotten me into trouble before and I need to cut it out. In better news, I picked up 1200 shares of CPE this morning and the stock proceeded to rally higher, so at least on paper that offset the RACK blunder. It was a good day for Stockcoach, with my portfolio gaining 1.0 percent thanks to lots of nice moves in many of my favorite positions (TAIT, BRNC, TRNT, etc.). I picked up some shares of CATS last week. The stock is trading close to book value and has lots of cash on hand and no debt. The lone analyst that follows the stock increased earnings estimates last month (always a good sign). The only drawback is that the company's CEO appears to be rather overpaid given the size of the company. At any rate, I still like the stock. The price has moved up a bit in the last few days so I'll be looking to add to my position on any dips (with INTC reporting not so great numbers after the close, that means I might get my chance tomorrow). It was not a particularly memorable week for the portfolio. The portfolio gained $7,431 (0.9 percent), not bad in its own right, but vastly inferior compared to the Russell 2000 (up 2.4 percent), and the seemingly indefatigable NASDAQ (up 2.8 percent). I sold 1000 of my BELM shares. I will hold on to the rest with the aim of selling them in the mid-8 range. The market was on fire today but my portfolio still managed to lose groud, falling by about 0.1 percent. When I checked my Ameritrade account after the close, it showed that I was up over $2000, but when I entered the new portfolio value in my spreadsheet, I was actually down for the day. This seems to happen often with Ameritrade. I wish they would fix that software glitch. Not that Ameritrade is any better than Scottrade, which is the other broker that I use. I am now getting trade alerts for things that happened in ..... December. Very helpful. Up 0.3 percent today. As I mentioned in an earlier post, I will try to do more short-term trading this year, which I hope will boost my portfolio's returns. With that in mind, I picked up 2000 shares of BELM. BELM has just broken out from a 30 percent orthogonal fibonacci channel, the stochastics look great, and the stock chart is showing the famous "dog with long tail holding a cup of coffee" pattern, which I know all you technical traders love to see. Oh yeah, (not that it's important) the company guided up revenue estimates yesterday and who knows, maybe that will also help. Up 0.5 percent today. Kewaunee Scientific Corp (KEQU) makes the furniture you would find in most science labs. While domestic sales have been weak, sales to Asia have been growing nicely, and the company's profit more than doubled last quarter compared to the previous year. To quote the company's CEO: "Regarding our current fiscal year, we expect the last six months to be profitable and much improved over the same period last year." Despite this improved performance, the stock is still trading below tangible book value. I think there is about $1 of downside with this stock, and perhaps as much as $5 upside. Disclosure: I am long 2000 shares of KEQU. Up less than 0.1 percent today. Back in May I rolled the dice on TORM and lost big time as the stock proceeded to decline 50 percent over the next couple of months. I held on, and even added more shares below $2. It paid off, after bottoming at around $1.50, the stock has rallied to $3.40. I've been selling shares along the way and today I completely closed the position. In the end, it turned out to be a profitable trade (total profits of about $4,600). The stock has been moving up lately because the company announced a new contract. The details of the contract have not been disclosed, although I am sure it will help the company's bottom line. However, I still decided to sell because historically the company has had trouble generating big profits, and now that the stock is about 25 percent above book value, I think there are better and safer places to park my money. To my fellow tormites, I wish you well. I still think the stock could easily run above $4, but I'm just too risk averse to join you for the ride. I guess, in short, I understand trading based on news, and I (sort-of) understand value investing, but I don't understand how one would go about doing short-term trading on fundamentals. The markets are pricing in everyone's best guess about what the fundamentals will look like in the future, right? So, whether you trade fundamentals or technicals, you've still got that nagging problem of being unable to predict the future. Isn't there still a bit of black magic in figuring out what multiple you'd be willing to pay (especially if the company is actually losing money)? More of an art than a science, still, right? I used the little search bar on your blog to search for "fundamental analysis" and got no hits other than this post. Do you have an entry that describes the way you trade fundamentals? I guess I am not saying that technical analysis is wrong by definition, but rather, those who practise technical analysis tend to rely on patterns they learned from books and blogs, the efficacy of which are based on folklore and not rigorous testing. Short term trading based on fundamentals is largely news based. Long-term trading based on fundamentals requires screening for various criteria that tend to work well. This post mentions some. I guess there is also the issue of what distinguishes a trader from an investor. I tend to distinguish trading and investing in the following way: The value of a stock in an efficient market should equal the present value of cash flows that shareholders will receive, typically in the form of dividends. If you are buying a stock for those cash flows, you are an investor. If you are buying the stock for capital gains, you are a trader. In practise, this means that anyone who holds a stock for less than 5 years is largely a trader. So obviously my definition of trading encompasses a much longer time frame than what others would regard as trading. Is trading based on fundamentals more of an art than a science? Yes, in many ways it is, but I would argue that it is more of a science than technical analysis simply because there is a lot of good empirical work that demonstrates the efficacy of various trading rules based on fundamentals (buying value stocks, stocks with insider buying, stocks that recently beat earnings estimates, etc.). My own reading of the literature on technical analysis is that almost all patterns tested are unprofitable after realistic assumptions are made about slippage and commissions. It's not a hard and fast rule, however. Andrew Lo at MIT has done lots of good research on TA. Some of the patterns he tested are marginally profitable, but again, it would be difficult for a person to make a living by trading them. The only possible big exception is momentum (buying past 12 month winners and holding them for 3 to 6 months). The momentum effect, from about the mid 1930's until 2000, was absolutely huge, much much bigger than the boost one got from buying value stocks or small caps. The numbers simply are staggering by how much past winners outperformed past losers. However, the momentum effect is long term in nature. You can't daytrade off it since it requires a holding period of about 6 months. Futhermore, more than half of momentum profits are from the short side, so in practise it may be difficult to fully realize them. Moreover, momentum profits tend to last longer for low volume stocks, contrary to what most traders believe. However, this illiquidity also makes it more difficult to trade them. Let me also say that I don't think trading on fundamentals is the only way to go for short-term trading. Much of the trading done on Wall Street is basically liquidity provision. That's what market making is all about. Market makers tend not to take directional bets; they just sell when others are desperate to buy and buy when others are desperate to sell. But in general they are keen to balance their books as quickly as possible. There is a parallel here between what they do and the sort of value investing I do with illiquid stocks. There is also a fair bit of money to be had from scalping off institutional money flows. People will argue about the benefits of TA if you're a scalper. 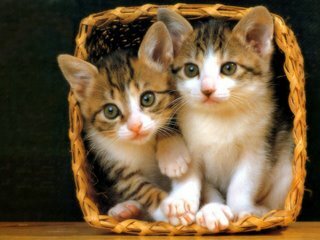 My own sense is that it is of limited help, but I am sure others will disagree. Haven't I taught you people anything? So I put up my reader poll on Friday and so far only 25 percent of you have gotten the correct answer, which of course is "fundamental analysis". I know that the rest of you chartists think you can actually develop profitable trading systems based on the rantings 12th century Italian mathematicians and other such nonsense, but let me assure you, time will prove you wrong. Technical analysis is pseudo science. Good science backs up everything with empirical data, not with anecdotes and assertions. Have you ever had the misfortune of opening up one of those technical trading books? Eek! Assertion after assertion. Where's the proof? Where's the evidence? There is none, because when one tries to take the assertions of technical analysis to the data, the data typically win. I've said it before, and I'll say it again, technical analysis is just like astrology, but a lot less interesting. I always enjoy the feeling that one has when a new year begins. One can put past mistakes behind them and start fresh. As far as investing is concerned, regardless of how well or how poorly you did the previous year, the counter gets set back to zero and everyone goes back to the same starting line. Of course, that warm and fuzzy feeling of knowing you have a perfect decision making record for the new year usually lasts until about 9:31am of the first trading day, but hey, enjoy it while it lasts. 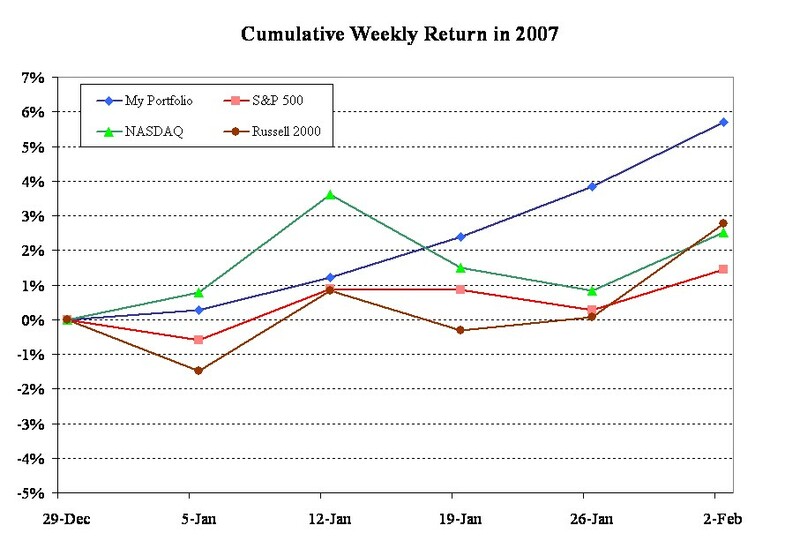 Anyway, the first week of 2007 was a slow one for my portfolio. After deducting the $50,000 dividend that I paid myself earlier this week, the portfolio was up $2,114 (0.3 percent). 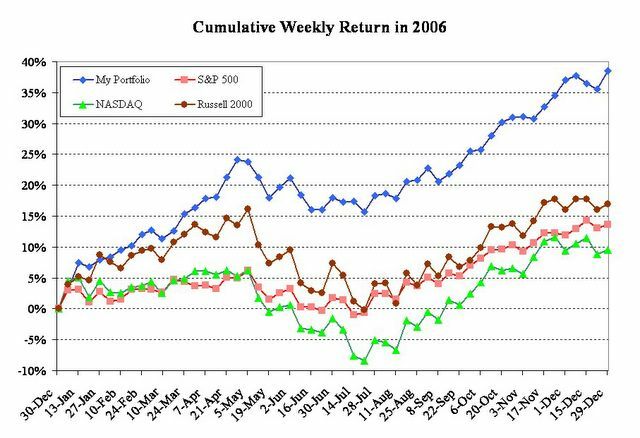 This return was better than the Russell 2000 or the S&P 500, but not as good as the NASDAQ. Despite the dividend, I am still sitting on a large cash position of about $200,000. I've been trying to bring that down by buying some new stocks, but so far most of the limit orders that I have in place have not been filled. Unfortunately, that's one of the problems with microcaps. If you want to start or exit a position, you can only do it very slowly since most of the time the liquidity simply isn't there to move large amounts of stock. In the microcap world, patience is indeed a virtue. Stockcoach today announced profits of $232,076 for 2006 compared to profits of $203,666 for 2005, an increase of 13.9 percent. 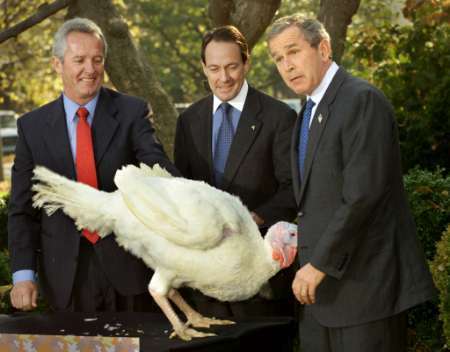 For the fourth quarter ending December 31, 2006, profits were $78,183, an increase of 109 percent compared to the fourth quarter of 2005. Profits are calculated as the overall change in portfolio value, inclusive of realized and unrealized capital gains and losses, dividend receipts, commissions and fees, net interest payments, but exclusive of any cash withdrawals or deposits or accrued tax liabilities. For the year, Stockcoach outperformed the S&P 500 by 24.9 percent, the Nasdaq composite by 29.0 percent, and the Russell 2000 by 21.5 percent. For the fourth quarter, Stockcoach outperformed the S&P 500 by 4.0 percent, the Nasdaq composite by 3.2 percent, and the Russell 2000 by 1.6 percent. Stockcoach's equity was $834,311 at the end of 2006, an increase of 38.5 percent over the preceding year. To reward himself for his hard work, Stockcoach has declared a special $50,000 cash dividend payable to himself on January 1, 2007. Based on his conservative calculations, this money should be sufficient to fund one month's worth of expenditures at Babies R Us. Stockcoach also plans to announce another special dividend in March to help cover this year's tax liabilities. "I would like to congratulate myself on another solid year," said Mr. Stockcoach, President, janitor, and spiritual leader of Stockcoach, Inc. "The completion of this quarter marks the tenth consecutive quarter that I have outperformed the S&P 500, the Nasdaq, and the benchmark Russell 2000 index." Mr. Stockcoach continued, "I am excited about the prospects for 2007. While the outlook for the stock market in general, and smallcap value stocks in particular, is less favorable than it has been the past, I am hopeful that I will be able to continue my record of outperformance. As previously discussed, I intend to complement by value based investment approach with higher frequency trading, which I believe could further boost my returns." Up 0.2 percent today. Tomorrow will be the last trading day of 2006. In the past, the last day of the year has brought all sorts of surprises for microcap investors. First, you have the tax loss sellers who procrastinate about dumping their losers until the final hours and then finally relent and send in market orders to sell at any price. As an investor who tends to buy stocks that are closer to their 52 week lows than to their 52 week highs, that often spells trouble for me. On the other hand, you also have hedge fund managers who like to run up stocks in order to 'mark to market' for higher fees. 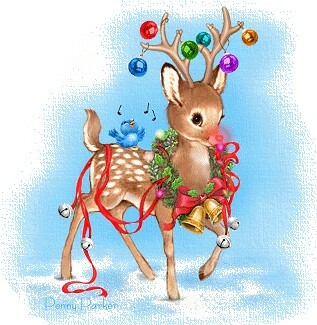 Plus, there are the early bird January effect traders who will be looking for bargains as the new year approaches. All in all, tomorrow should be interesting. I'll be back after the close with my 'annual report'. Up 0.9 percent. Okay, give me a break. IFON announces some rinky dink contract to sell Lucky Goldstar handsets in Latin America and the stock is up 60 percent. Yes, as you can probably tell, I'm rather bitter, having sold the stock way too early this morning, thereby leaving lots of money on the table. Oh well, sera sera. In addition to IFON, SPOR helped me out. Still, depite these nice gains, the Russell 2000 once again outperformed me today. Grrr! The portfolio managed to gain 0.5 percent today thanks largely to news that CPAK was being bought out as well a low volume surge in shares of Kentucky Fried Investors (KINV.OB). While my limit order to sell a few shares in KINV.OB was partially filled towards the end of the day, given all the insider buying in the stock, I wouldn't surprised if someone knows something. Anyhow, I'm still trailing the Russell 2000 by less than one percent this quarter, so hopefully I can put together a few days of outperformance before the year is over. Up 0.1% percent. Only the Bozo kept me in the plus column today. I'm starting to get annoyed with Scottrade's "real time" alert service. Today's alert notifying me that DAGM's price had risen to $2 arrived in my inbox about 40 minutes after the fact, by which time I couldn't act on it. I'm not sure if the issue has to do with my computer at work, or with Scottrade itself, but regardless, I'm not amused. And again and again and again. The past 9 trading days has seen a slow but steady decline in my portfolio value. I'm down 0.7 percent so far this week. While it is unpleasant to see my accumulated profits for the year steadly evaporate, so far the damage has not been huge, and I am still well positioned to outperform the markets for the year (although probably not this quarter). In the meantime, I'm looking around for some loser stocks to buy in order to profit from the January effect. The portfolio got whacked this week: down $7,912 (1.0 percent). Hopefully I can make it back next week. Have a nice weekend everyone! The portfolio has declined each of the last 5 trading days. So far this week, it fell 0.1 percent on Monday, 0.3 percent on Tuesday, and 0.5 percent today. This does not bode well for my goal of gaining for 40 percent for the year. Still, I remain optimistic. This is the time of year when microcaps can really fly. So who knows what can still happen before the end of the year. On Wednesday I was ready to celebrate another $10K+ week but then that sneaky Mr. Market snuck up behind me with one of those WWE type metal chairs and ...thump, I had lost the majority of my accumulated weekly gain. PAM, NYER, PDEX, CHK, DAGM, they all ganged up on me today. Still, the portfolio gained $4,047 (0.5 percent) for the week. Not as good as the Russell 2000 or any of the other major indices, but a gain is still a gain. Besides, you can’t beat the market all the time, right? Have a nice weekend! Up 0.4 percent today. I am always struck by stories like these that remind us just how small (though not necessarily insignificant) our world is in the great scheme of things. There are at least 100 billion stars in our galaxy and at least 100 billion galaxies in the visible universe. And standard cosmological models of inflation suggest that if the entire universe were reduced to the size of our solar system, the visible universe (the part that we can see with our telescopes, which is about 26 billion light years across) would be smaller than a grain of sand. And on top of that, our entire universe, which string theory suggests may have 9 spatial dimensions, may itself just be one in an infinite number floating in a larger "hyperspace". You see how small one feels when one think in these terms. When I was a teenager, I remember being enthralled by the notion that time can not be measured in absolute terms. If a light bulb goes off in the middle of a train that zips by you at high speed, the light from the bulb will be seen instantaneously by passengers at the front and back of the train. But from your perspective, the light will reach the back of the track before it reaches the front. Everyone has a "now list". But my "now list" may be different from yours, especially if you happen to reside in another galaxy. Indeed, if you live in a distant galaxy that is moving away from ours, you may legitimately claim that it is not the year 2006 on earth, but 1006! I was also struck just by how malleable time is. If you get into a rocket that is constantly accelerating at a comfortable 1G (the gravity here on earth) not only will you have a smooth journey (the force of acceleration will make it feel as thought you never left earth) but you will be able to travel one trillion light years (as measured on earth) in about 55 years in the rocket (try this applet for fun)! Indeed, once one realizes that space and time are so intricately linked that you can not really understand one without understanding the other, the notion of something as basic as life and death gets a bit blurry. In some sense, none of our loved ones have really died. They just live in a different corner of spacetime. 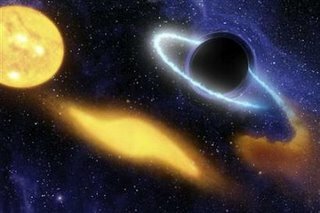 And since general relativity does not prohibit traveling back in time, who knows what amazing things await for humanity. Up 0.3 percent today. I sold my remaining 600 shares of TSTC. The stock made a big move today along with many other "China" stocks. While I was impressed with TSTC's momentum, especially towards the end of the day, I usually think it best to sell a stock that moves up 25 percent on no news. Even a cursory look at the 2 year chart for TSTC suggests that the stock has never been able to hold a large gain, so hopefully I will be able to buy my shares back in the low $4 range. Up 0.4 percent today. It was another one of those days. 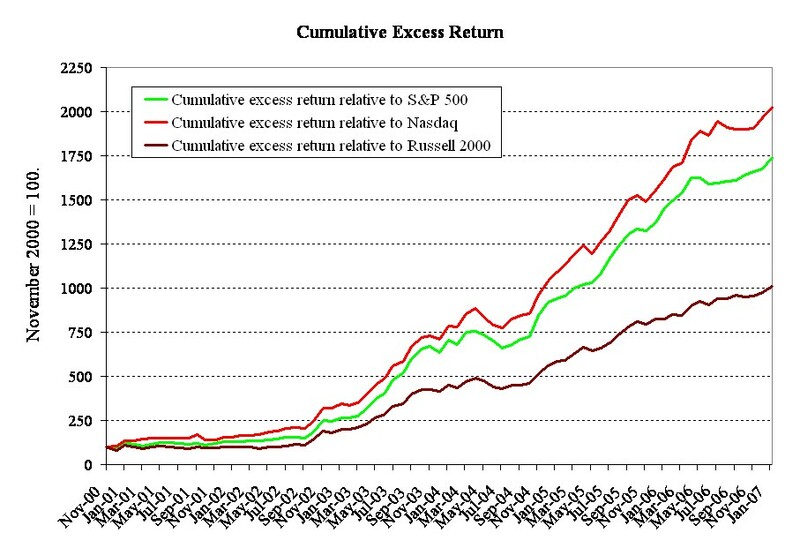 I was happy to see my portfolio rise, but a little annoyed by how much better the Russell 2000 did. One blogger that I follow quite a bit is Charles Kirk (I like his site so much that I even pay $50 to be a member. In fact, his website is the only trading resource that I pay money to use). His style is quite different from mine. I tend to base my trading decisions on a company's fundamentals whereas he leans towards technical analysis. He is also much more short-term oriented that I am. I must say that his trading record is nothing short of amazing. Yet, with success comes a price that I think many short term traders have not considered (although I'm sure Charles has thought about this many times). You see, if you are successful, your account will grow very quickly, but as your account grows, it will become increasingly difficult to deploy that cash on a consistent basis. This problem is particularly acute for daytraders. Imagine having $1 million in an account and having to trade that much money every day, always closing one's positions before the end of trading. Unless you are trading extremely liquid stocks, it will be impossible to get in and out without moving the price against you. That poses a problem because the best risk/reward scenarios are often in smaller less liquid stocks (this is also true for fundamentals-based investing, which is why I focus on smallcaps). Thus, I find that many short-term traders who have large accounts are often sitting on huge cash hoards. Even though they can still make big profits on the trades that they make, because their average trade size is a small fraction of their total account, they still have trouble outperforming the indices in percentage terms. And speaking of a few good trades, ENPT soared this morning after reporting a very strong earnings report. Unfortunately, just like CBTE, this was a small position for me. I had sold half my ENPT shares a few months ago and so as of this morning, I only had 2500 shares to my name. I sold 1750 of them for an average price of about $6.40 during early trading. My decision to sell most of my shares was based on the fact that while headline EPS was excellent, revenue did decline year over year, the company paid no income tax, and I have concerns about just how “clean” those earnings really were (if they included one-time benefits, etc.). We won’t know the answer to the latter question until the 10Q comes out. Still, make no mistake, this was a great quarter for ENPT. Moreover, I was very impressed with the huge trading volume today. I suspect we haven’t heard the last about this stock. Thanks to ENPT, PDEX and EGR, the portfolio gained 1.4 percent today, to close the week up $15,135 (1.9 percent). Have a nice weekend everyone! The portfolio fell 0.4 percent today. For November, the portfolio gained 2.9 percent. Unfortunately, with only one month left in the quarter, I am lagging both the Russell 2000 and the NASDAQ. 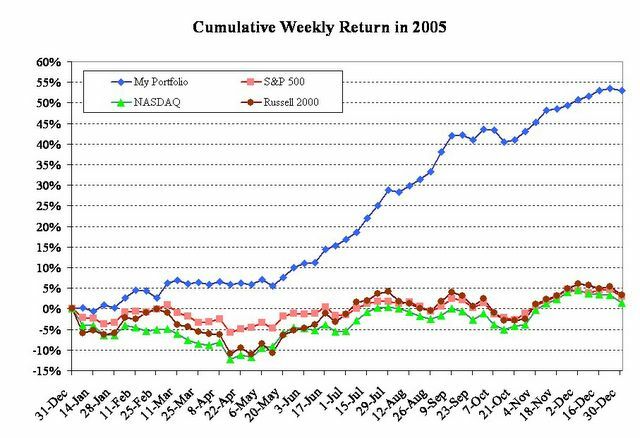 I have outperformed the major US indices every quarter since the second quarter of 2004 (when I got greedy and put 25 percent of my portfolio into a single stock and had it blow up in my face...last time I do something so stupid). So needless to say, I will be disappointed if I can't keep the streak going this quarter. Hopefully, with a few good trades, I will be back on top. Up 0.6 percent today. Low float stocks continue to get lots of attention. Among those in my portfolio, ASCEF and SPOR both saw nice pops today. Hopefully some of my bigger positions like DYNT and JOB will also get noticed. I see Cramer is getting rather testy and defensive about his track record. His email exchange with CXO Advisory is quite amusing. Wish I had more CBTE! Up 0.8 percent today. Knowing when to sell is never easy. In fact it’s a lot more difficult than knowing when to buy. Usually with microcaps, if you sell after a 10 or 15 percent move, you can buy the stock back at your original buy price. But on days like today, when microcaps are in play, it’s a lot more difficult. Some stocks will make breakouts on high volume but then wilt after a few minutes, others will take off and keep going higher and higher. In hind side, it always looks obvious which ones you should have sold and which ones you should have held, but trust me, I’ve been doing this a long time, in the heat of the moment, it is impossible to tell. The fact is that there is a great deal of randomness involved. My view is that the best you can do is simply sell the stock as it goes up. If it keeps going up, you sell more stock. If it goes down, you always have the option of buying it back at a lower price than what you sold it for. Plus, this system doesn’t require you to sit in front of the computer all day. You just put in your limit orders and hope they get filled. This was what I did with CBTE. I sold about one third of my position for $3 and another third for $3.60. The last third almost hit my target of $4.6, but no cigar. The price then proceeded to drop, so I am still holding this last tranche of shares. Unfortunately, CBTE was not a big position for me, so despite the big move today, it did not have a huge impact on my portfolio. I also sold a little bit of EWEB at what turned out to be near the high of the day. I probably should have sold more, but I have a gut feeling that this stock is primed by a major pump and dump and I want to have a big arsenal of shares to sell if that happens. I also picked up shares in PDEX, DAGM, and SPOR. I wouldn’t say any of these stocks have amazing fundamentals but the fundamentals are good enough that I don’t think the stocks will drop substantially if the microcap fever exhausts itself tomorrow. In the meantime, all three stocks have the characteristics that traders are looking for (NASDAQ listing and tiny market cap). Down 0.5 percent today. Well that's one big fish that got away. I had a limit order to buy 8000 shares of CNLG last week but it never got filled. Today the stock moved up 300 percent. Grrrr! That would have been a nice stock to own during today's market meltdown. I did buy 5000 shares of US 1 Corp (USOO.OB). The stock has a P/S ratio of less than 0.1 and has been consistently profitable of late. Good enough for me. Up $11,043 (1.4 percent) for the week. Have a nice weekend everyone! The portfolio gained 0.6 percent today, finally pushing through the "psychologically crucial" 800K barrier (what, I don't get my own CNBC special?). TSTC, BDR, and the Jobster all helped out. I shorted 500 shares of CAO this morning thinking that the stock would slide after the company preannounced revenue for the quarter that was below analysts' consensus. I was wrong. It went up. Go figure. I guess I will probably cover tomorrow because I've learned that if a stock goes up on bad news, being short is not a good idea (as MSO so painfully taught me in 2004). The week started off on the wrong foot as my portfolio sank 0.2 percent. I sold my remaining shares of TSYS. I still like the stock and I suspect it will go higher, but the stock has gained about 60 percent in the last two months despite the fact that earnings estimates for 2007 have been reduced, so I though it would be prudent to take my profit and put the money into other names that haven't appreciated as much. JOB reported decent earnings after the close. Earnings increased a bit relative to last year although they were down sequentially (there may be some seasonality there). The 10 cent special dividend was a nice surprise. The stock probably won't do much of anything tomorrow but if the company can keep posting solid earnings, I think it's just a matter of time until we are above $2. The portfolio staged a bit of a comeback today, gaining 1.2 percent, thanks in part to BNSO and SCOP (what's up with the volume in SCOP?). For the week, I gained $12,120 (1.5 percent). While that's less than the Russell 2000, it is good enough for new portfolio high, and that's enough to make me happy. Have a nice weekend everyone! What's up is down and what's down is up. The Naz was down this morning, and my portfolio was up 0.6 percent. The Naz finished up for the day, and my portfolio finished down 0.2 percent. Go figure. The best case scenario for me now is if the market simply consolidated. Not up, not down, just sideways. Traders are greedy and arrogant now. I just need them to get bored with liquid stocks and shift their attention to smallcaps. I just can't seem to be able to string two up days together. Down 0.3 percent. More of the same I'm afraid. The market move higher again today while my portfolio moved lower: down 0.3 percent. As they say, tomorrow is another day. There is no way to sugarcoat this week. The portfolio did very poorly, losing $2516 (0.3 percent) while the Russell 2000 gained 2.2 percent. That's one of the worst weeks of underpeformance that I have ever experienced. Still, one week hardly makes a trend. My view is that if it ain't broke, don't fix it. A week like this one is disappointing to be sure, but it would take a long string of such weeks for me to alter my basic investment strategy. I have a trading plan, I stick with it, and I evaluate it on a quarterly basis. And even then, I am loath to radically change a trading strategy that has worked so well for me for so long. The fact of that matter is that there is lots of noise in the market. Sometimes you get a bit lucky, other times you don't. This week saw earnings disappointments from DYNT, IFON, and CBTE. I accept that. Next week is a new week and hopefully a much better one! I think from now on I will start reporting my results ELOY-style: "I had a very strong day today if you exclude all the stocks that went down...blah blah blah". Alas, ELOY I am not. Today turned out to be a tough day (with the portfolio losing 0.8 percent) largely on account of DYNT, my second biggest holding. Make no mistake, this was not a good quarter for them. But having said, they did indicate on the conference call that they will actively use the buyback program whenever the stock dips below $1.30 and that they regard this quarter as a low point, with better results to come. I hope that's true, because this is one stock that has really strained my patience. I encourage you to listen to today's conference call. The grumbling from some of the shareholders was really quite funny. The market continues to move higher. My portfolio also managed to saunter to a new all time high today, but on the whole, I've been underperforming badly, gaining only 0.7 percent in total over the past three trading days. There's a new king in town and his name is JOB. I've been buying shares of JOB here and there over the past month and the stock is now my biggest position. JOB is extremely cheap by any standard of valuation. The company will be reporting earnings soon and if the numbers are good, the stock will be in the fast lane to $4. With over $1 per share in cash and no debt, I just don't think there is too much downside here. No thanks to PXPL, the portfolio stayed in the black today and finished the week up $813 (0.1 percent). I'm not sure where the market goes from here. I guess if I had to be on one side or another, I'd be in the bullish camp. One thing I'm noticing is that the vast majority of traders were caught off guard by the market rally over the past 2 months and are still sitting on the sidelines with huge cash positions. Others like Trader Tim are still short and praying that the bear has finally returned. The bottom line is that few people that I know were able to time the market rally (and that includes myself) and as a result many of us are still looking for new stocks to buy while others have short positions that they need to cover. Either way that's buying pressure. Furthermore, given that few people think this rally is for real, I suspect we have higher to go. I just couldn't catch a break the past few days. EGR and NSYS reported excellent quarters and the stocks didn't budge. On the other hand, PEAK and SCOP (two position that I had increased only recently) reported disappointing quarters and got ripped apart. On the bright side, I think PEAK's and SCOP's strong balance sheets will preclude any further price declines, but obviously, the market action in these stocks was very disappointing. Down 1 percent so far in November. Up 0.4 percent today. For the month of October, the portfolio gained $36,235 (4.8 percent), the best monthly performance since April. However, despite this solid result, I did underperform the Russell 2000 by 0.9 percent in October. Interestingly, despite the constant chatter that investors are finally shifting money away from smallcaps and into large caps, the Russell 2000 has outperformed the S&P 500 since the market bottomed in August. I guess smallcaps still have some room to run, although inevitably I know the party will eventually end. "Hey Stockcoach, I took your advice and bought OVTI and now I'm down $2000. Thanks a lot ***hole!!!" 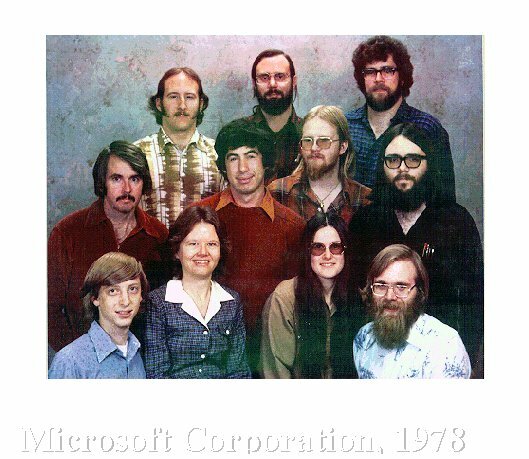 I only invest in companies whose management teams look like this (notice the guy in the bottom left).